This is my first column for 2012 and what a difference a year makes in Montana when it comes to the weather. Last year I at this time I reported that the ice conditions were not consistent because of the amount of snow that we had received across Montana. This year the ice conditions are also not consistent but for a different reason. It’s always interesting to compare times, and five years makes a difference–but, what kind of difference for the ice? 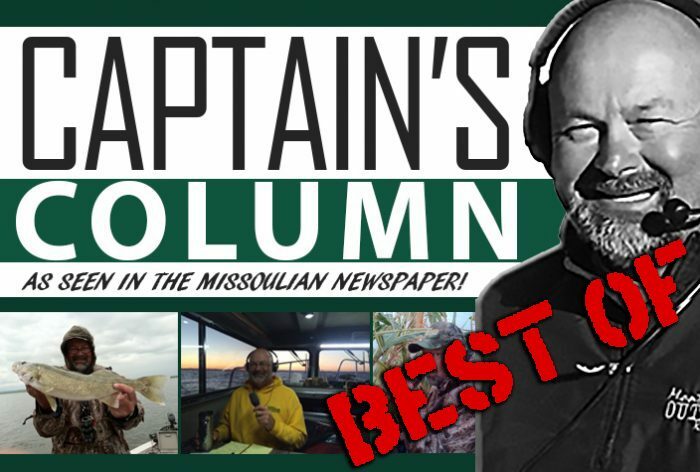 Read the Captain’s whole column here, and enjoy a blast from the past from half of a decade ago!